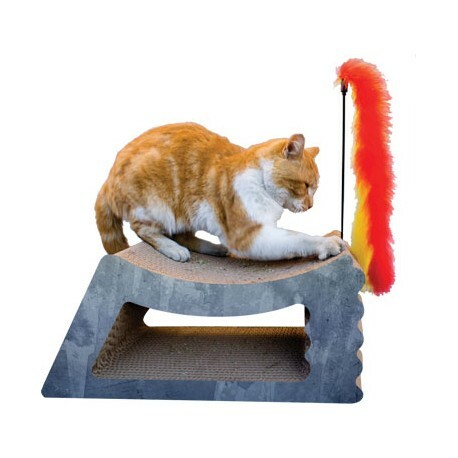 A multi-purpose scratcher that features both horizontal and vertical scratching surfaces, a bumpy side for rubbing, and a scooped top for snoozing. 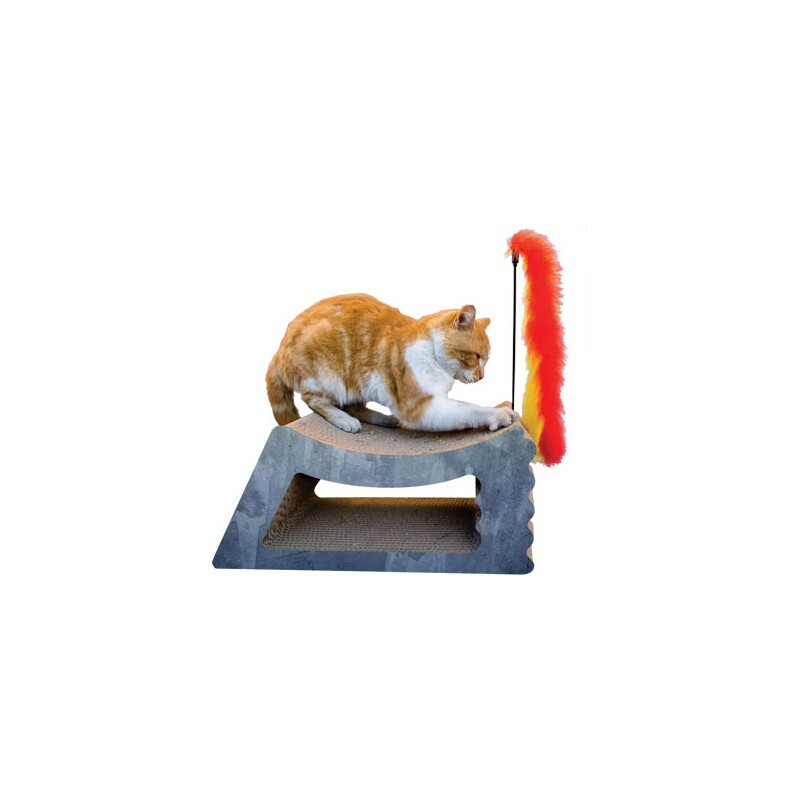 A multi-purpose scratcher that features both horizontal and vertical scratching surfaces, a bumpy side for rubbing, and a scooped top for snoozing. Made in the USA from recycled paper. Bag of 100% certified organic catnip and a bonus Marabou wand are included. Dimensions: 9" x 21.25" x 10"